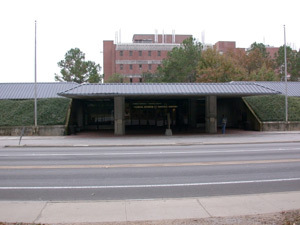 The Environmental Archaeology Program and collections are housed in the Florida Museum of Natural History Research Facility at Dickinson Hall on the University of Florida campus. Although this facility is not open to the public, we can arrange tours of our laboratory and collections for interested individuals, classes, or organizations. We can also provide lectures to local schools and professional and avocational organizations and bring our science to you. If you are interested in booking a tour or lecture please contact us well in advance and we will do our best to accommodate you. The public Florida Museum of Natural History Powell Exhibit Hall has a wealth of opportunities for tours, education and school groups, and outreach.